Twist Erase Express offers lightweight writing comfort. 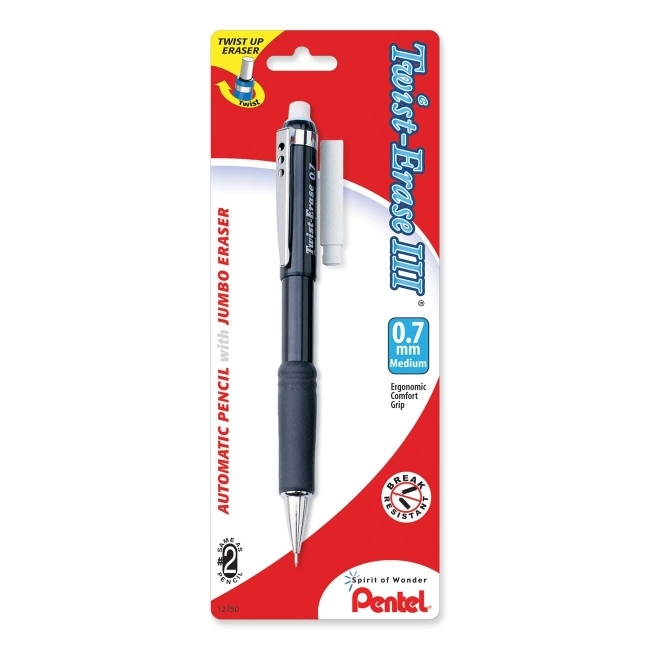 Mechanical pencil features a long lasting twist up eraser, top click, stationary tip, and fixed sleeve. Latex-free grip has extended barrel coverage for writing versatility. Mechanical pencil is refillable with Pentel Super Hi Polymer Lead and E10 eraser.